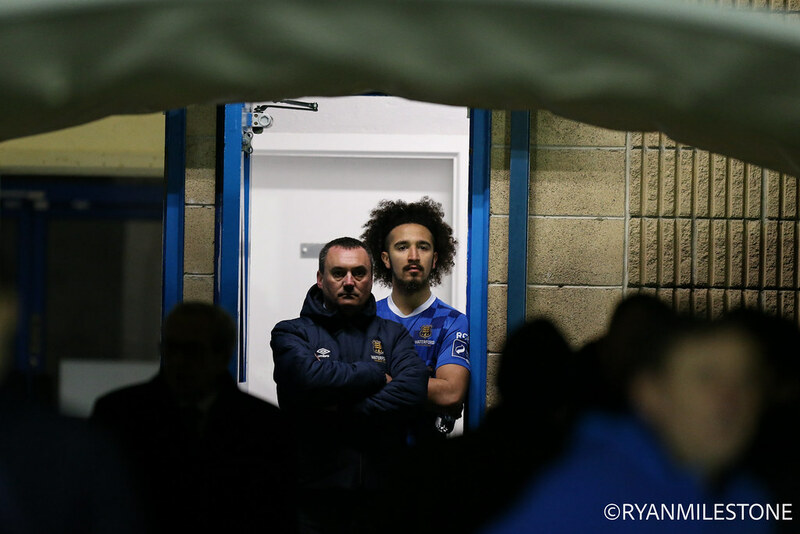 Three goals, four red cards and both managers sent from the dugouts was the story of a chaotic Munster Derby as Waterford moved joint-top of the table after beating Cork City 2-1 at the RSC. 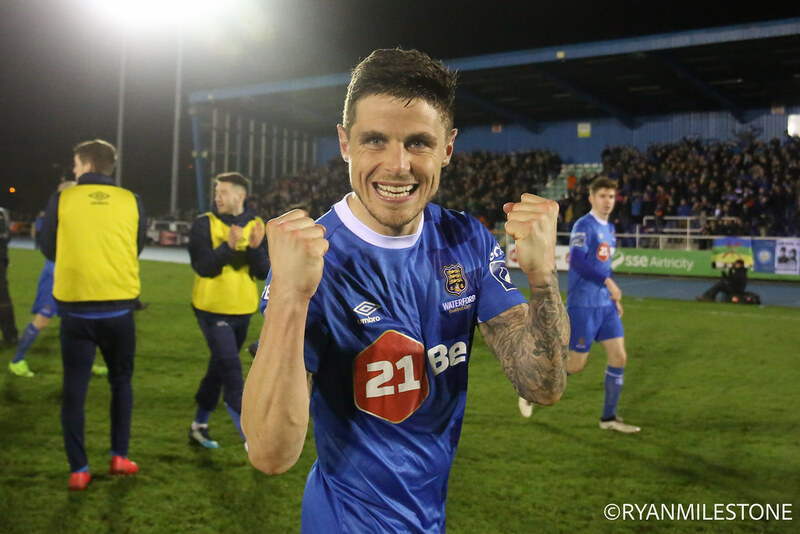 Conor McCarthy gave City an early lead but an own goal from Conor McCormack and a header from Courtney Duffus ensured the three points for the Blues before a late melee involving both sides. 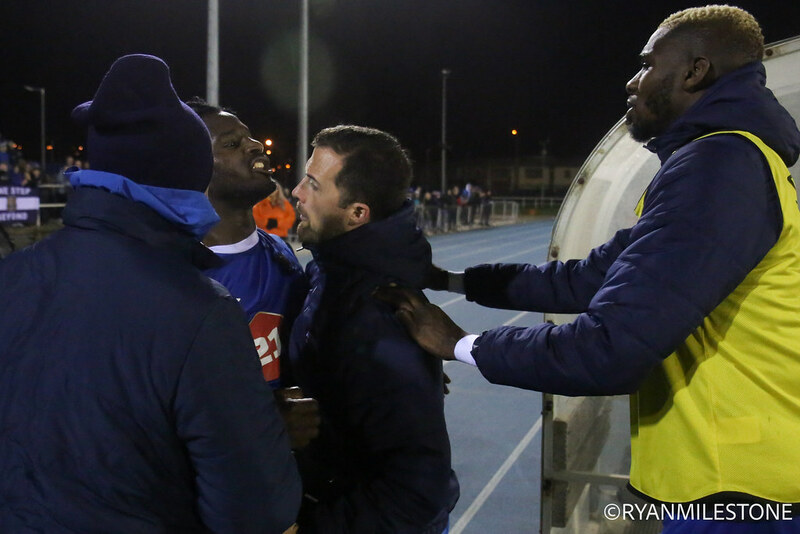 Bastien Hery and Garry Buckley were sent off, before Waterford’s Stanley Aborah, taken off minutes earlier, and City sub Steven Beattie were red carded after a melee. 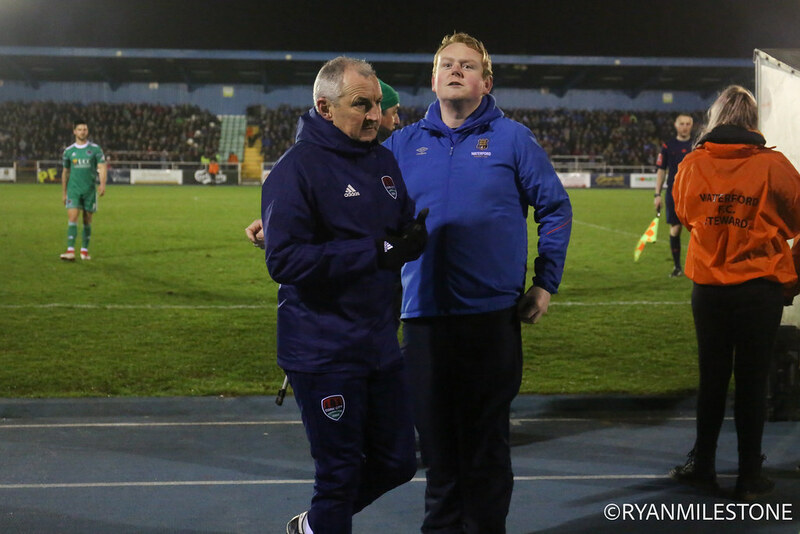 Both managers were then sent to the stands as referee Rogers struggled to keep control. City were in front after just two minutes of the game. 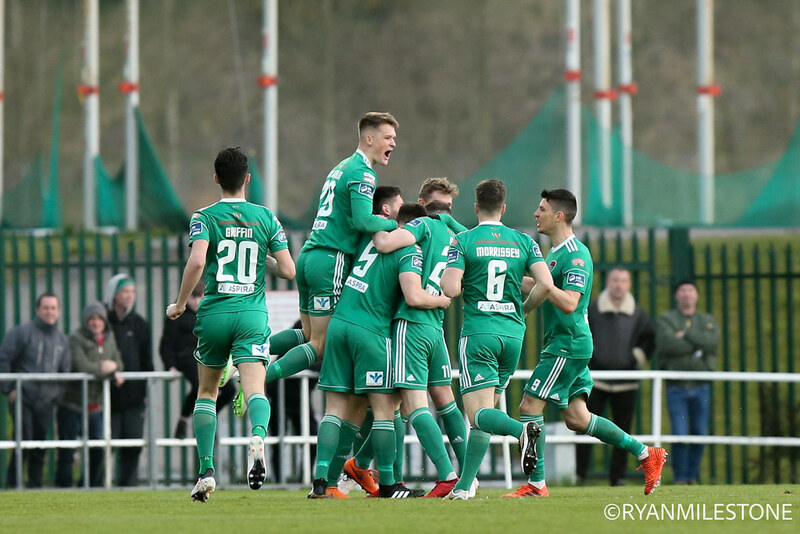 Barry McNamee’s swirling free kick found Aaron Barry at the back post and he headed back across goal for McCarthy to fire home. Waterford took their time to get going. 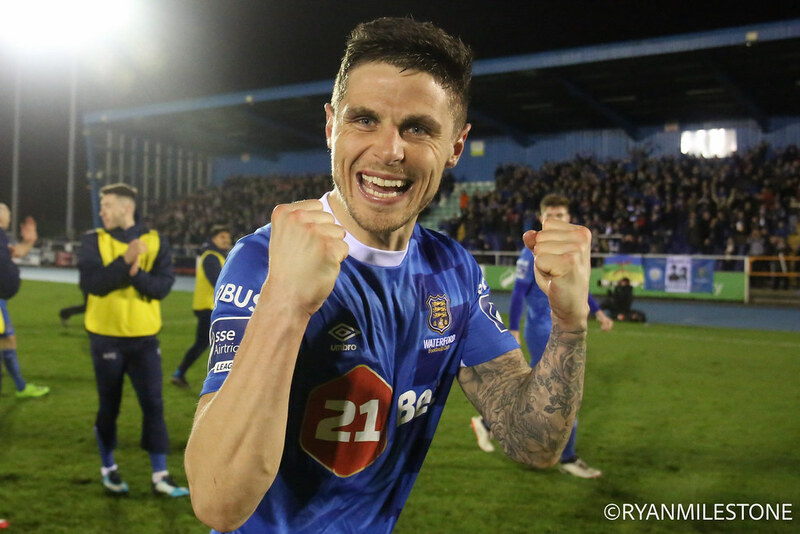 Captain Paul Keegan went close midway through the first half but his free kick didn’t trouble Mark McNulty in the City goal. 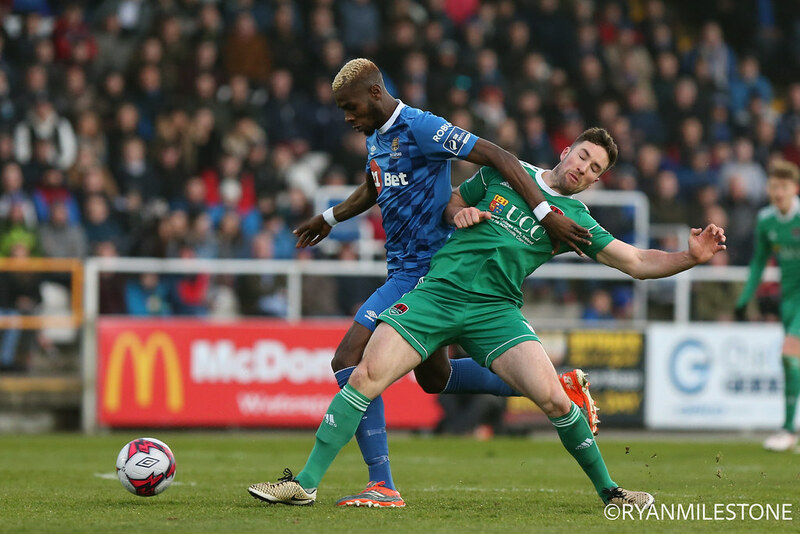 The visitors were dominant in possession in the first half but couldn’t find a second goal as the first 45 wore on. 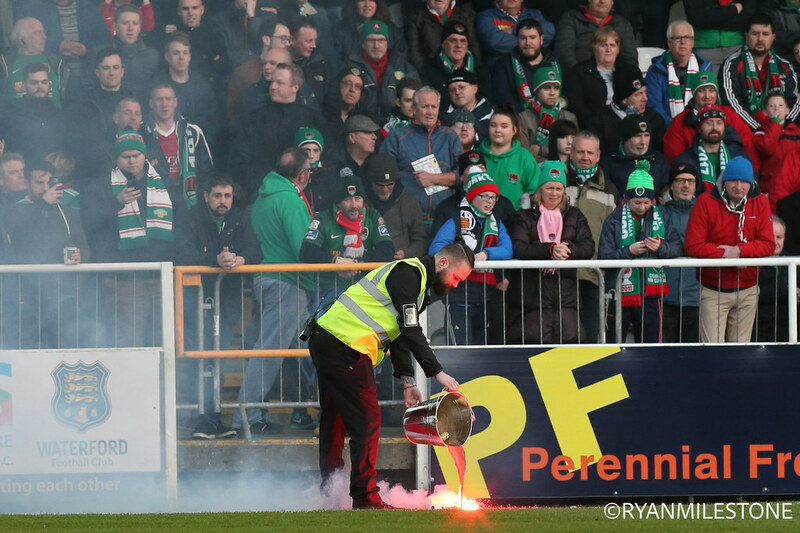 Kieran Sadlier went close when he met Conor McCarthy’s cross but he couldn’t find the target. 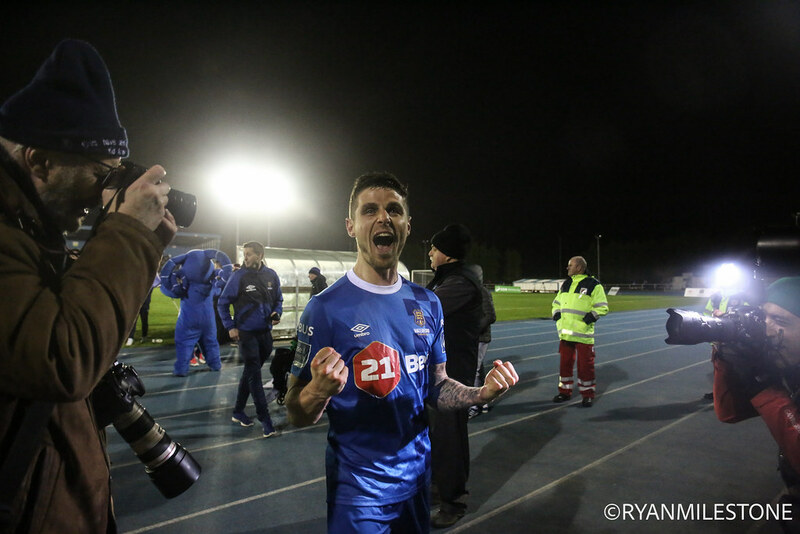 Waterford pegged back the reigning champions just six minutes into the second half. 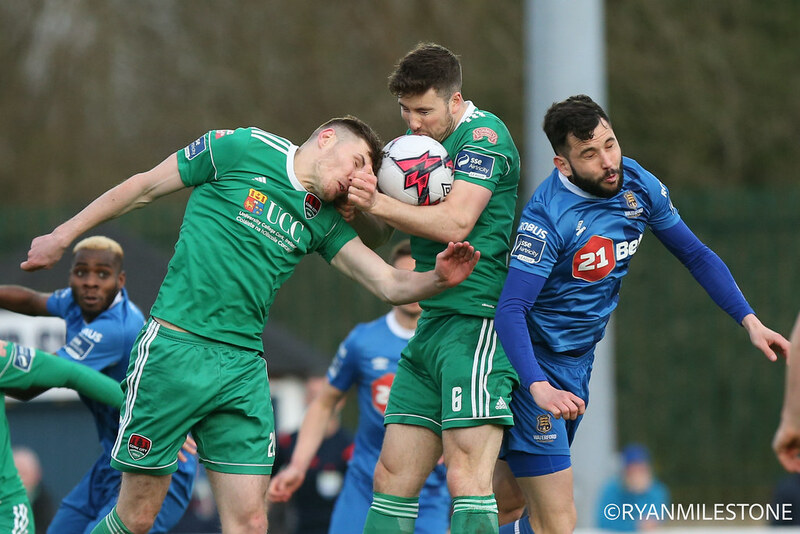 Midfielder Gavan Holohan fired in a cross from the right and the ball struck visiting captain Conor McCormack and bounced beyond keeper McNulty for a unfortunate own goal. 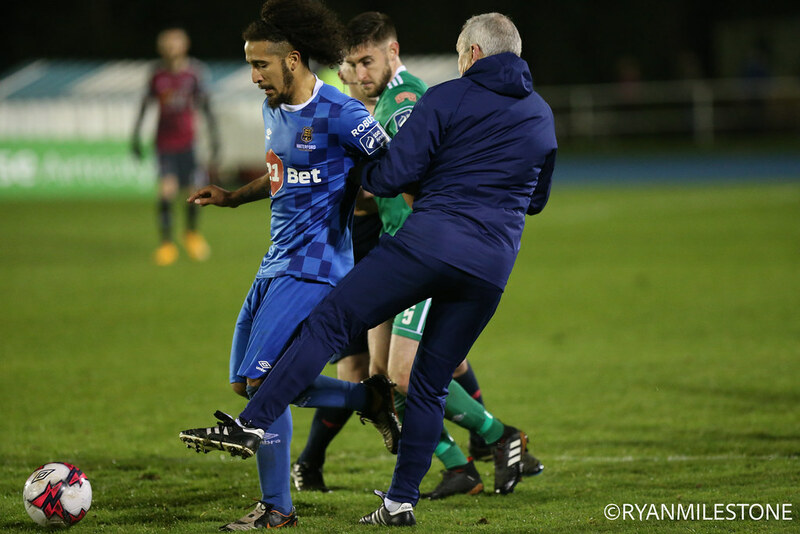 Courtney Duffus had a chance on the hour mark for Waterford but he volleyed over, before Barry McNamee had a great chance to give City the lead again. Bastien Hery’s attempted back pass was left short and McNamee took possession, but he fired wide from a one-on-one position. 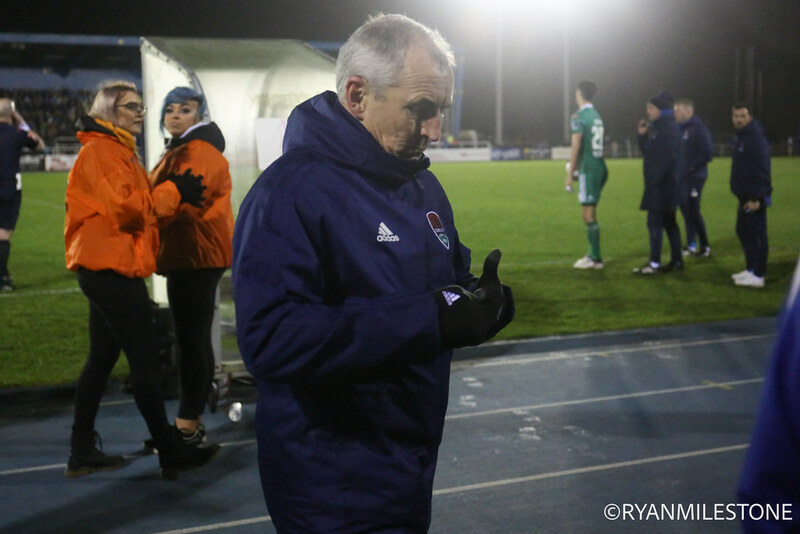 And John Caulfield’s side were left to rue that chance as Waterford grabbed the winner with 10 minutes left. 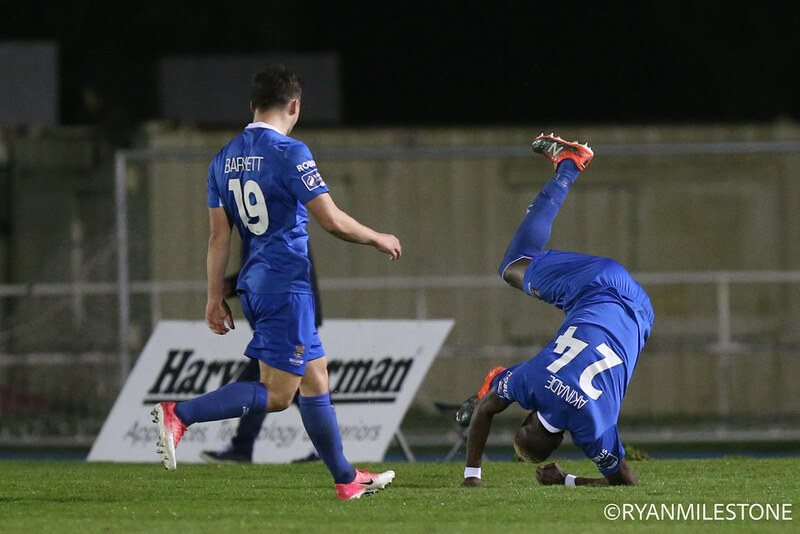 Izzy Akinade’s strike looped over City keeper McNulty and Duffus was on hand to head the winner and send Waterford joint top of the Premier Division table. 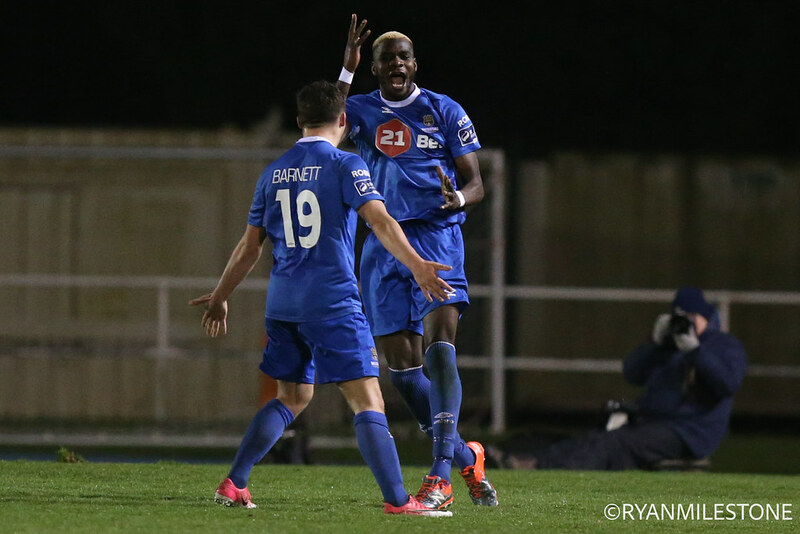 Waterford: Lawrence Vigouroux; Garry Comerford, Kenny Browne, David Webster, Dylan Barnett; Paul Keegan, Bastien Hery, Stanley Aborah (Sander Puri 95),Gavan Holohan; Izzy Akinade (Rory Feely 85), Courtney Duffus. 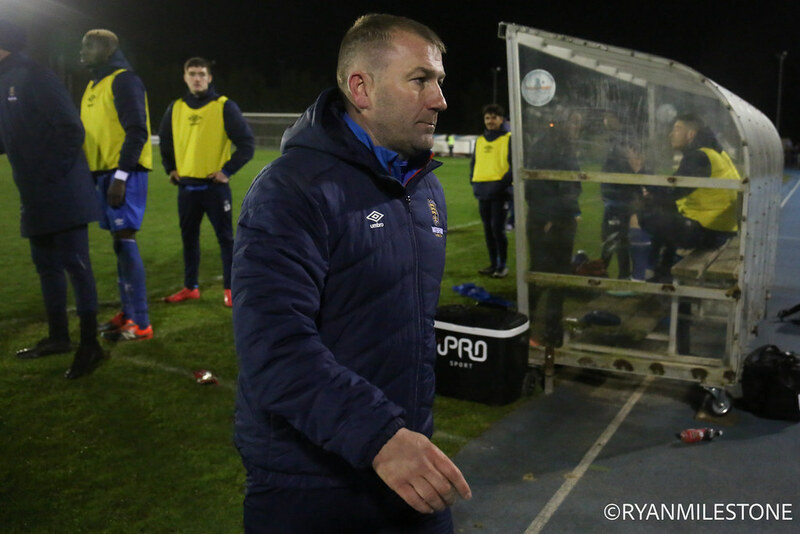 Subs not used: Faysel Kasmi, John Martin, Dean O’Halloran, Niall Corbet. 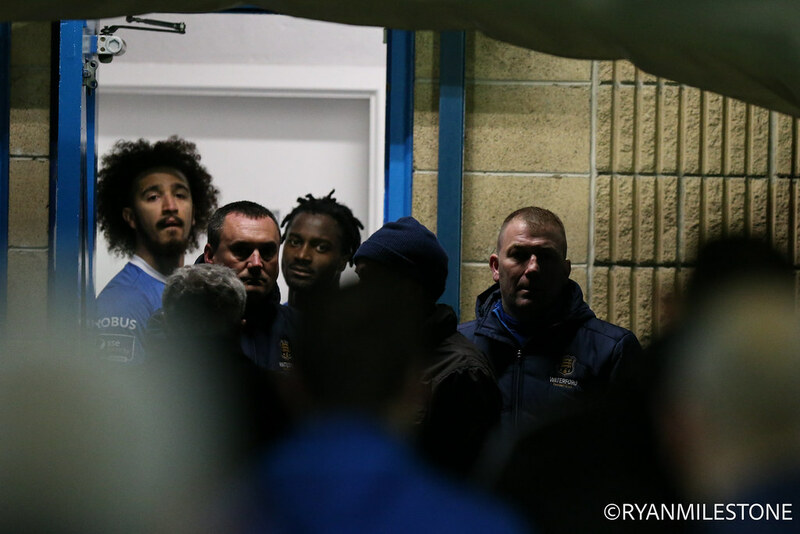 Booked: Stanley Aborah (29), Garry Comerford (39). Sent off: Stanley Aborah (95), Bastien Hery (95). 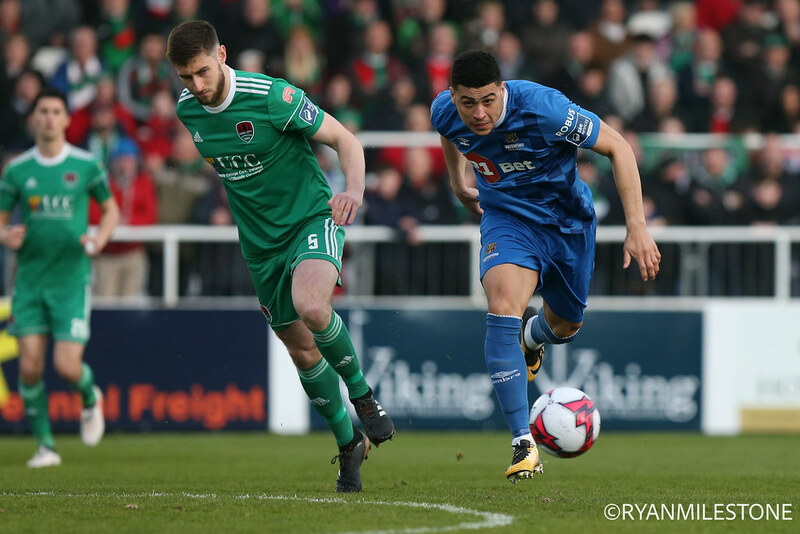 Cork City: Mark McNulty, Conor McCarthy, Aaron Barry, Sean McLoughlin, Shane Griffin; Conor McCormack (Jimmy Keohane 70), Gearoid Morrissey (John O’Hanlon 83); Barry McNamee, Garry Buckley, Kieran Sadlier; Graham Cummins (Karl Sheppard 73). Subs not used: Steven Beattie, Tobi Adebayo-Rowling, Colm Horgan, Peter Cherrie. Sent off: Garry Buckley (95), Steven Beattie (95). 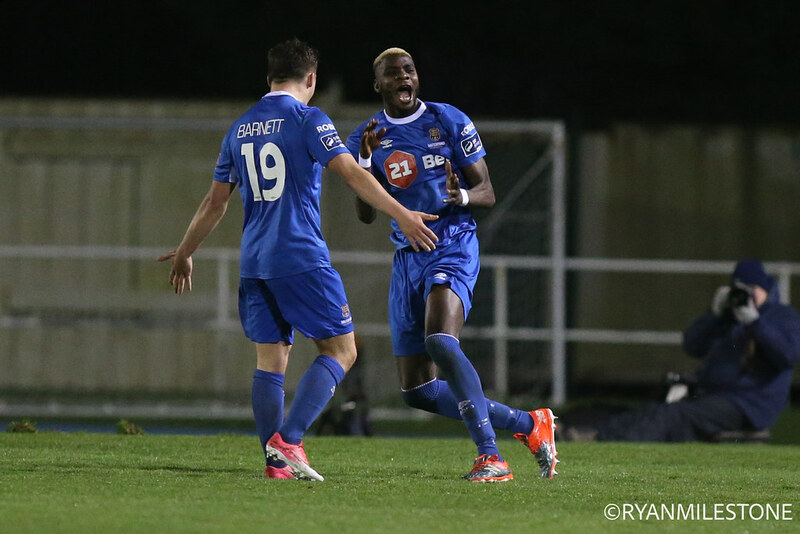 Extratime.ie Player of the Match: Stanley Aborah (Waterford).